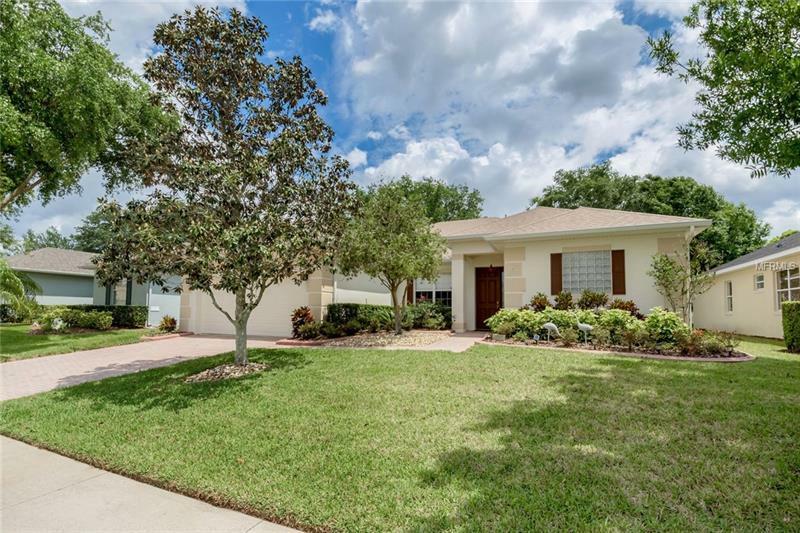 Deering floor plan 3/2 2+ car garage NEW roof 2016 NEW AC 2018 NEW wireless alarm system NEW irrigation box designer colors & immaculately maintained Levitt & Sonsâ home (move in ready). Walk up the sidewalk paver block driveway enter the tile foyer & see the mature landscaping in the backyard/unique plants & cactus. Living room has sliding patio doors to the screened lanai/tile floor & totally under roof. Dining rm also has plush carpet & decorator chandelier. Kitchen has 42â cabinets 18â tile granite counter-tops stainless appliances corner pantry & gas appliances. LG Master bedrm has double walk-in closets M bath has double vanities private commode garden tub & separate shower. 2nd bedroom is carpeted & 3rd bedrm is engineered wood great for an office with Jack & Jill bath. Inside laundry/w/d & enlarged garage/utility sink work bench space & extra storage. Family rm off kitchen is enlarged & has patio doors to lanai. Community amenities incl. a 28000 sq. ft. clubhouse indoor/outdoor pools/gazebo 8 lit clay tennis courts fitness center/saunas aerobics dancing Ping-Pong billiards shuffleboard computers ballroom baseball field cards crafts 19th hole/lg. screen t.v. & book/movie library & too many activities/clubs to mention. HOA incl. clubhouse amenities manned security gate basic cable & all yard maintenance. Great location near turnpike shopping restaurants hospital biking banking community college NTC & many lakes great for fishing. Some furniture available. Pet Restrictions: Must be leashed and cleaned up after.